Home » News » Insurance News » Why Its Worth Adding Demo Cover To Your Motor Trade Insurance. Why Its Worth Adding Demo Cover To Your Motor Trade Insurance. 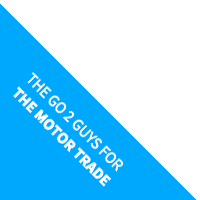 If your involved in Motor Trade Sales then its worth adding Demonstration Cover to your Policy. Always ask your broker for the cost to add it on and the policy benefits and exclusions for this additional cover. Some of you may want to add Demonstration Cover to your policy, but if you’re unsure whether it’s for you or not, we’ve gathered some information below to help with your decision. Demonstration cover allows potential customers to test drive your vehicle under your supervision. However it only covers the customer if you are sat with them during the test drive, and they hold the relevant UK driving licence. Although this covers the customer, you will be required to sit next to them in the car. While most companies will do it for free, sometimes adding this cover to your policy could cost you a small additional charge. If you do have to pay out extra, see it as a worth while investment as customers are more likely to purchase a car if they can take it for a test drive. Although you are able to get the potential client to use their own insurance, it is not recommended as if something were to happen, you would have to rely on them to make a claim. If you do allow them to use their own Driving Other Cars cover, always ask for proof before letting them drive your vehicle. This cover is ideal for anyone selling cars or other vehicles.